Common throughout Puget Trough lowlands in wetlands, waterways, farm fields, and open spaces in cities. A few records penetrate to moderate elevation along river valleys. 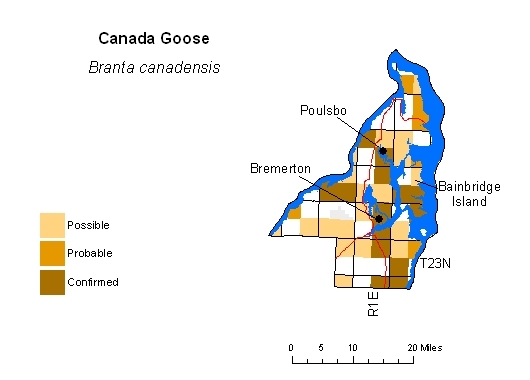 Surprisingly uncommon on Camano Island where only recorded once, contra Washington Gap predictions (Smith et al. 1997). 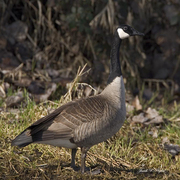 In Kittitas County, common along Columbia River and in appropriate habitats near lakes and river valleys farther west.